Sarah is known for her passion for helping people obliterate obstacles and get exactly what they want in life! No challenge is too big for her. In fact the greater the challenge – the more determined she is to succeed. This probably comes from her difficult start in life having undiagnosed ADHD, growing up always feeling different and ‘on the outside’ but determined to achieve. She smashed her own barriers by becoming a paper millionaire in her early 30’s and at that point turned her life to helping other people. She started by volunteering with the homeless in London as a mentor for The Big Issue when she was no longer able to ignore the amount of homeless people begging on the streets of London. She was fast bankrupting herself giving out wads of cash but decided more had to be done so joined up for The Big Issue’s first ever mentoring training and since then has never looked back. This is where she first found she could put her incredible strength and passion for helping people who most need it to best use. She carried on working in London with the homeless for the DePaul Trust, The London Connection and Crisis where she spent many years working in their head office, managing the Hairdressing services at Christmas and doing anything and everything she could to help London’s homeless. 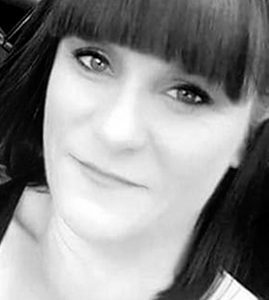 At this point Sarah trained to be a Life Coach and now, finding her real passion was to help the even more challenging group, offenders, she began to work at HMP The Mount, Bovingdon where she spent 18 months tutoring soon-to-be-released men get their CVs in order, tackle interview technique, find out how to be self-employed and run franchises and generally get themselves better equipped for life on the outside. She adored this work. counsellor and spent 5 1/2 years qualifying as a person centred counsellor and then a CBT therapist. and then in Dorset at HMPYOI Portland with both young offenders and adult men. Routes to Roots Homeless Charity, both in Poole, Dorset. Finding out she was ADHD when she was 51 clarified Sarah’s entire life for her. This is why she had struggled, this is why she had felt different. This is why she felt the need to push boundaries, take risks and constantly push herself – the ADHD internal motor making it impossible to relax. It was also the reason she found it so easy to identify with offenders : 75% of her own clients in the prisons were ADHD and their crimes were for risktaking and boundary pushing behaviour. Now 20 years of working with the homeless and offenders, particularly young offenders, has given her the experience to launch Headstuff Therapy knowing that her combination of life coaching, mentoring, counselling and CBT skills give her a firm basis from which to help most people turn their lives into exactly what they want. Running alongside her work with offenders and the homeless, Sarah has owned two highly successful employment agencies since 1990. She excels in CV writing, career advice and career changes of direction. Sarah believes obstacles are only there to be pushed out of the way. She won’t take no for an answer and has guided people from seemingly impossible situations into their dream scenarios. She gets immeasurable pleasure from seeing people who are feeling hopeless, directionless, weak and powerless take back control of their lives and achieve exactly what they thought was impossible. She has witnessed this numerous times over the past 20 years and plans to spend the rest of her life doing it for as many people as she possibly can as she knows the rewards for her clients are huge and life changing. And nothing gives her more pleasure than making people happy. Sarah sees clients in High Wycombe, Buckinghamshire. She also works nationally by telephone, VSee and online. What do Sarah's Clients say? Lynda is a vastly experienced counsellor who brought up not one, but two ADHD sons! One diagnosed Inattentive, one Hyperactive. She guided them through some pretty hairy teenage years but they are both now in their 20’s and both starting out on their careers and so far doing well! Lynda is also the reason Headstuff Therapy exists at all ….. for it was her who was counselling Sarah when she spotted ADHD traits in her. It was Lynda who felt so strongly that Sarah was ADHD, even when a private, supposed ADHD specialist psychiatrist told Sarah she was not ADHD, Lynda encouraged her to not give up and to go somewhere else, so sure was she Sarah was ADHD. Lynda’s knowledge of ADHD comes not only from bringing up two ADHD sons, but also from working with ADHD teenager and adults for many years. Both male and female. 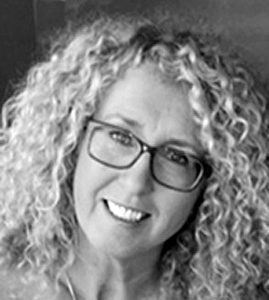 Lynda is a highly experienced counsellor with 25+ years’ experience. She has worked as a Diploma Level Counselling Tutor and is a qualified Counselling Supervisor. Samantha is a fully qualified BACP registered counsellor and life coach. Samantha has an 18-year-old son with ADHD/ODD and a 28-year-old daughter awaiting diagnosis of ADHD. She herself is awaiting diagnosis of combined ADHD. Although Samantha had recognised a difference in her son, when a primary school teacher pointed out there may be an issue with his behaviour, Samantha was not happy! At first not wanting to think there was anything “wrong” with her son, she was reluctant to take things further. However, she agreed to a referral and he was very quickly diagnosed ADHD/ODD. At this time Samantha was studying a Counselling Degree. It was then that she started to study ADHD in detail. Samantha wrote a dissertation on why Counsellors should receive training in ADHD. She could see mental health services in her area were letting her son down. He was getting no ADHD help from his Doctor, CAMHS, the education system or schools’ counsellors. Samantha is passionate about raising ADHD awareness in Wales. Also educating and supporting clients with ADHD and families of children with ADHD. Samantha and her son had no help and no support, and she is working hard to change this. There was no adult ADHD support in Wales so she has started a local support group and wants to reach as wide an area as possible. It was during her Counselling training that Samantha started to realise she too had many symptoms of ADHD. With her extensive research and knowledge of ADHD she believes she is ADHD Combined type. As we know there is a strong genetic link for ADHD. Samantha is currently awaiting her diagnosis. With much research and by coaching herself, Samantha managed to leave University with a Foundation Degree in Counselling and went on to study for a BA (Hons) in Counselling, covering Neurobiology, CBT and Children and Young People. Having been through some very distressing years with an adolescent ADHD boy and dealing with her adult daughter, suffering from anxiety and overthinking due to her undiagnosed ADHD, Samantha has a great understanding and first-hand knowledge of what it’s like to live with ADHD at its worse. This makes her an empathetic and kind counsellor. She can relate with her clients as she has personal experience of ADHD. Anita has over 25 years’ experience working with children, teens & adults with communication difficulties and in the past 15 years has developed a pro-active enthusiasm in the field of ADHD. Anita is passionate about an individual’s right to fair education and life experiences. She believes awareness leads to opportunity, with neurodiversity being an asset to be embraced. Anita feels that due to the challenging nature of ADHD, a child or adult may have experienced mainly negative messages – conditions of worth, which can hugely impact on the individual, leading to crippling, negative beliefs about themselves, in not feeling good enough, valued or accepted for who they really are. The conditions of worth taken on from others expectations are NOT our own and she understands how these can leave an individual feeling worthless and lost with no hopes, no dreams and in a state of alertness to react defensively, a horrible place for anyone to be, but yet a way of survival. Anita believes that through building a safe, trusting relationship a more resilient, positive way of looking at daily struggles can be adopted, bringing a more flowing, balanced approach which can make life feel less difficult, with YOU feeling in control. She is a great believer in self-care, so how you respect, treat and take care of yourself is a priority in working together. Anita has experience working with children aged 2-18 yrs with a range of speech, language, communication difficulties, along with offering family and school support. She has also worked with young offenders and supported young adults with mental health needs. Anita will qualify as an integrative counsellor in 2019. She very much works from a person centred philosophy, where she offers trust and empowerment in believing the client has the inner ability for developing their own solutions. She will also be trained in CBT and psychodynamic approaches, which she believes can be hugely worthwhile in assisting a person to gain acceptance, understanding and self-management at challenging & difficult periods in life. Anita is available to see clients in the West Midlands, Worcestershire and Staffordshire areas. She also works nationally by telephone and online. Niall was diagnosed with ADHD in 2005 at the age of 25. He had struggled with every aspect of life up until that point and has dramatically turned his life around through gaining knowledge and understanding of his condition. Once he identified the lack of services for Adults with ADHD in Northern Ireland he became a founder of Adult ADHD NI. Through this, he has over six years’ experience supporting and counselling adults impacted by ADHD including parents. Through specialised integrative ADHD counselling Niall has enabled those affected by ADHD to become more aware of their condition, learn how it affects them and to not only accept it but to embrace their ADHD. Through counselling he has supported people back to education, helping them to overcome procrastination or engaging in behaviours that hindered their quality of life. In line with this, Niall’s counselling has supported people gain improved social skills, reduced anxiety; deal with addictions and negative self-image. Niall provides a safe, non-judgmental therapeutic environment that enables the individual to explore and reflect on their struggles; to develop a better understanding and acceptance of themselves and others. He uses a humanistic and integrative approach to counselling which encourages people to make positive transformations and achieve optimum levels of well-being. Niall believes in building a trusting and supportive therapeutic relationship in which one can discover or build on their inner resources. Niall works with a broad range of issues such as depression, stress and anxiety, grief and loss, attachment issues, self-esteem, isolation and trauma. Niall specialises in ADHD, ASD and addictions such as substance misuse, gambling and internet gaming disorder. 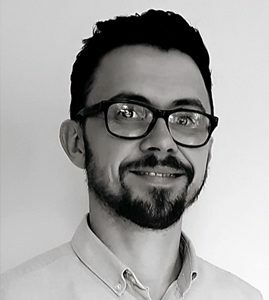 Niall has been trained in Humanistic Therapeutic counselling, Existential approaches to counselling, Psychodynamic psychotherapy and Cognitive Behavioural Therapy. Niall and is a member of IACP (Irish Association of Counselling and Psychotherapy).